WordPress put together stats from my blog this year. This is both really fun and humbling. It’s amazing that so many people are interested in what I have to say! I am also way behind on blogging. Since my last post, I’ve had 17 orders from my Etsy store. 17! Before this November I had seven total. I also had some personal orders from friends and holiday gifts to make. November and December have been crazy. It’s all finished, and I can finally breathe (and work on a project for me). I’ll catch up on the blog soon. We have moved! Please follow the link below to read the 10-year Class Reunion Awards Ceremony blog post. Happy Birthday to Engineered Creations! I started my blog, Engineered Creations, exactly one year ago today. The response I’ve gotten has been absolutely incredible. I never dreamed so many people from around the world would be interested in my crafting experiences/patterns and recipes. Here are a few statistics from the last year. My blog has had 20,665 views in the last year. That’s an average of about 57 views per day. That’s insane! My blog readership really picked up in November and December. During that time, a popular bacon newsletter linked to my Bacon and Cheese Crock Pot Quiche recipe, Raverly put my Baby Turkey Hat pattern on their front page, and I published my Katniss Cowl pattern, which became very popular. Those three posts have seen consistent high traffic keeping my numbers high since November. 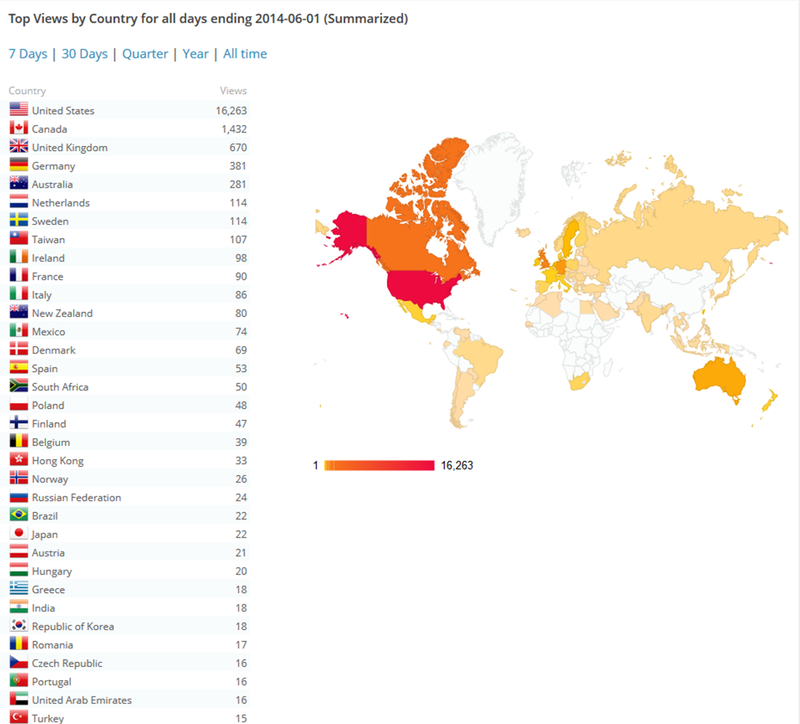 My blog has been read around the world in a total of 83 countries! The picture below shows a map of all the countries with the top countries listed.